What does this have to do with claims you may ask? Keep reading and you will see. Woodward and Bernstein were investigative journalists. Their job was to uncover facts that would lead to other facts that would lead to a supported conclusion. There was a lot at stake for the Washington Post if the story was wrong, and even more at stake for the country if the story was right. The process was well laid out in the movie with the two journalists following one lead to another and researching and following up to support their eventual conclusion. Given what was at stake, the Publisher made it clear to the two reporters that there was no story if it was only supported by innuendos and accusations and no proof. Once the support was there, the story ran and the rest is history. Sounds a lot like a claim file to me. It is the claims professionals responsibility to figure out what happened and then come to a supported conclusion when evaluating and settling a claim. As there was for the Washington Post, there is a lot at stake for an insured, a claimant and a company if decisions are made in haste. Getting the conclusion right or wrong can have significant financial consequences for all parties involved. Prior to spending money on claims, good claims practices dictate that there is support for the decisions to settle and pay claims. 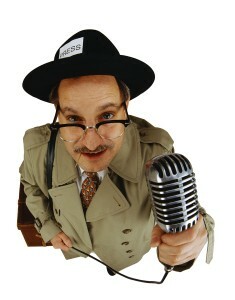 Being a claim professional is a lot like being an investigative journalist. Figuring out what happened and why is critical to making the appropriate assessment. Unlike Woodward and Bernstein back in the early 1970’s, claims professionals have a tremendous amount of technology available to them to help figure out claims problems. There are two great scenes in the movie that truly reflect how times have changed when it comes to conducting even basic investigations. Back in the day, even simple tasks, that we all take for granted today, would have taken hours and multiple resources to complete. In the movies, the reporters found a name on a check and had no idea who the person was or how to contact them. Imagine that issue today – no big deal – go online, plug in the name to Google, and presto a list of information including addresses, phone numbers, job descriptions and maybe even photographs appears in seconds. Not back in 1973 where Bob Woodward (played by Robert Redford) is seen sitting in a room with phone books from all over the country looking for a name. Another staff person comes into the room and was able to find a photograph in what was called the “clip file.” I can only imagine how long that took and how many resources were needed to find the photograph alone. In another iconic scene from the film, the two reporters needed to find out what books had been taken out by a White House staff member from the Library of Congress. The two were handed boxes and boxes of slips of paper used to document the check out of books from the library. 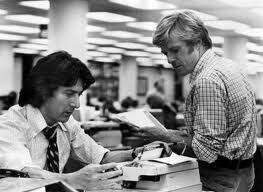 In a great piece of film making, there is an overhead camera angle of the two reporters going through every slip of paper in what would have taken hours if not days. Of course, they never found what they were looking for. Today the same task would have taken seconds. Think about the tasks you do as a claims professional and try and imagine not being able to use even basic technology to find a name or locate a witness. I have always been a big proponent of good systems to enhance a claims professional’s ability to get their job done. Regardless, claims technology should allow the claim handler to be a claim handler and free them to be more analytical and less ministerial. Unfortunately, technology has often brought more work with little relief. As more claims can be processed faster, there has been a greater emphasis on dotting I’s and crossing T’s and less on outcomes. While it is important to accept tremendous efficiencies technology has brought to the claims process, do not forget that the true art and skill of claims is in the ability of a claims professional to analyze the information and make an appropriate decision. Tagged with Best Practices, Claims Handling, Claims Technology, Communications, Innovative Thinking, Woodward and Bernstein. If only the technology was used rather than the technology driving the claim but then again there would be no place for the unskilled and generally untrained(able) who simply deny claims and leave it to the lawyers to make their money – must work for the insurers or else they would not offshore it all away from the customers who pay them their incomes!